This is the COMPLETE official full factory service repair manual for Dodge Dakota 2005 2006 2007 2008 2009 2010 2011. Hundreds of pages allow you to print it out in its entirety or just the pages you need!! ALL STYLES COVERED. This Dodge Dakota 2005 2006 2007 2008 2009 2010 2011 manual is Actual Genuine Repair Service Factory Manuals NOT 3rd party manuals. This Dodge Dakota 2005 2006 2007 2008 2009 2010 2011 Factory Service Repair Manual will guide you through fundamentals of maintaining and repairing, step-by-step, to teach you what the factory trained technicians already know by heart. By applying the knowledge in this Dodge Dakota 2005 2006 2007 2008 2009 2010 2011 service repair manual, any owner should be able to make the right decisions about what they need to do to maintain and repair the Dodge Dakota 2005 2006 2007 2008 2009 2010 2011. This Dodge Dakota 2005 2006 2007 2008 2009 2010 2011 Factory Service Repair Manual covers all aspects of repair. The Dodge Dakota 2005 2006 2007 2008 2009 2010 2011 Factory Service Repair Manual contains all necessary illustrations, diagrams and specifications to guide the mechanic through any repair procedure. The Dodge Dakota 2005 2006 2007 2008 2009 2010 2011 serivce repair manual also contains an advanced troubleshooting guide to help diagnose and correct any problem. This highly detailed Dodge Dakota 2005 2006 2007 2008 2009 2010 2011 Factory Service Repair Manual contains everything you will ever need to repair, maintain, rebuild, refurbish or restore your vehicle. All diagnostic and repair procedures are covered in great detail. This Dodge Dakota 2005 2006 2007 2008 2009 2010 2011 Factory Service Repair Manual covers the same information that Professional Technicians and Mechanics have. You can view and print out the complete repair procedures with this easy to use Dodge Dakota 2005 2006 2007 2008 2009 2010 2011 Factory Service Repair Manual - you do not need to be skilled with a computer! Once you have found your information, just print it out and start work. No more messy manuals that you have to keep replacing or cant use any more due to wear and tear. This Dodge Dakota 2005 2006 2007 2008 2009 2010 2011 service manual also makes it easy to diagnose and repair problems with your machines electrical system. Troubleshooting and electrical service procedures are combined with detailed wiring diagrams for ease of use. Download Dodge Dakota 2005 2006 2007 2008 2009 2010 2011 SERVICE MANUAL!! $AVE $50 - $60 PER HOUR on shop labor costs. You will be able to do all of the servicing yourself with this Dodge Dakota 2005 2006 2007 2008 2009 2010 2011 Factory service manual. This high resolution downloadable manual is fully printable, you can print 1 page, 1 chapter, or the whole thing. A wealth of indespensible information for any serious owner. View and print any page or diagram that you want. YOU CAN EASILY find what you need using the search function and then print out only the pages you need. this is the Dodge Dakota 2005 2006 2007 2008 2009 2010 2011 service manual you have been waiting for. Incredibly detailed, step-by-step instructions and photos to guide you through all service, maintenance, repairs and tuning. Dodge Dakota 2005 2006 2007 2008 2009 2010 2011 General Information, Dodge Dakota 2005 2006 2007 2008 2009 2010 2011 Specifications, Dodge Dakota 2005 2006 2007 2008 2009 2010 2011 Engine Removal, Dodge Dakota 2005 2006 2007 2008 2009 2010 2011 Wiring Diagrams, Dodge Dakota 2005 2006 2007 2008 2009 2010 2011 Lube Points, Dodge Dakota 2005 2006 2007 2008 2009 2010 2011 Oil Types, Dodge Dakota 2005 2006 2007 2008 2009 2010 2011 Periodic Maintenance and Tune-Up Procedures, Dodge Dakota 2005 2006 2007 2008 2009 2010 2011 Engine Servicing, Dodge Dakota 2005 2006 2007 2008 2009 2010 2011 Disassembly, Dodge Dakota 2005 2006 2007 2008 2009 2010 2011 Reassembly, Dodge Dakota 2005 2006 2007 2008 2009 2010 2011 Fuel and Lubrication Systems, Dodge Dakota 2005 2006 2007 2008 2009 2010 2011 Carb Rebuild, Dodge Dakota 2005 2006 2007 2008 2009 2010 2011 Carb Adjustments, Dodge Dakota 2005 2006 2007 2008 2009 2010 2011 Electrical System, Dodge Dakota 2005 2006 2007 2008 2009 2010 2011 Ignition, Dodge Dakota 2005 2006 2007 2008 2009 2010 2011 Chassis, Dodge Dakota 2005 2006 2007 2008 2009 2010 2011 Charging, Dodge Dakota 2005 2006 2007 2008 2009 2010 2011 Starter, Dodge Dakota 2005 2006 2007 2008 2009 2010 2011 Battery, Dodge Dakota 2005 2006 2007 2008 2009 2010 2011 Switches, Dodge Dakota 2005 2006 2007 2008 2009 2010 2011 Wheels, Dodge Dakota 2005 2006 2007 2008 2009 2010 2011 Brakes, Dodge Dakota 2005 2006 2007 2008 2009 2010 2011 Steering, Dodge Dakota 2005 2006 2007 2008 2009 2010 2011 Suspension, Dodge Dakota 2005 2006 2007 2008 2009 2010 2011 Axles, Dodge Dakota 2005 2006 2007 2008 2009 2010 2011 Chassis Assembly, Dodge Dakota 2005 2006 2007 2008 2009 2010 2011 Servicing Information, Dodge Dakota 2005 2006 2007 2008 2009 2010 2011 Wiring Diagrams, Dodge Dakota 2005 2006 2007 2008 2009 2010 2011 Service Data, Dodge Dakota 2005 2006 2007 2008 2009 2010 2011 Wire/Cable/Hose Routing, Dodge Dakota 2005 2006 2007 2008 2009 2010 2011 Tools, Dodge Dakota 2005 2006 2007 2008 2009 2010 2011 Tightening Torques, Dodge Dakota 2005 2006 2007 2008 2009 2010 2011 Complete Engine Service, Dodge Dakota 2005 2006 2007 2008 2009 2010 2011 Fuel System Service, Dodge Dakota 2005 2006 2007 2008 2009 2010 2011 All Factory Repair Procedures, Dodge Dakota 2005 2006 2007 2008 2009 2010 2011 Gearbox, Dodge Dakota 2005 2006 2007 2008 2009 2010 2011 Exhaust System, Dodge Dakota 2005 2006 2007 2008 2009 2010 2011 Suspension, Dodge Dakota 2005 2006 2007 2008 2009 2010 2011 Fault Finding, Dodge Dakota 2005 2006 2007 2008 2009 2010 2011 Clutch Removal and Installation, Dodge Dakota 2005 2006 2007 2008 2009 2010 2011 Transmission, Dodge Dakota 2005 2006 2007 2008 2009 2010 2011 Front Suspension, Dodge Dakota 2005 2006 2007 2008 2009 2010 2011 Bodywork, Dodge Dakota 2005 2006 2007 2008 2009 2010 2011 Gearbox Service, Dodge Dakota 2005 2006 2007 2008 2009 2010 2011 Gearbox Removal and Installation, Dodge Dakota 2005 2006 2007 2008 2009 2010 2011 Cooling System, Dodge Dakota 2005 2006 2007 2008 2009 2010 2011 Detailed Specifications, Dodge Dakota 2005 2006 2007 2008 2009 2010 2011 Factory Maintenance Schedules, Dodge Dakota 2005 2006 2007 2008 2009 2010 2011 Electrics, Dodge Dakota 2005 2006 2007 2008 2009 2010 2011 Engine Firing Order, Dodge Dakota 2005 2006 2007 2008 2009 2010 2011 Brake Servicing Procedures, Dodge Dakota 2005 2006 2007 2008 2009 2010 2011 U-Joint Service Procedures, Dodge Dakota 2005 2006 2007 2008 2009 2010 2011 CV Joint Service Procedures, Dodge Dakota 2005 2006 2007 2008 2009 2010 2011 Timing Chain Service, Dodge Dakota 2005 2006 2007 2008 2009 2010 2011 Exhaust Service Dodge Dakota 2005 2006 2007 2008 2009 2010 2011 Service Repair Manual, Dodge Dakota 2005 2006 2007 2008 2009 2010 2011 Full Original Manual, Dodge Dakota 2005 2006 2007 2008 2009 2010 2011 Factory Service Manual, Dodge Dakota 2005 2006 2007 2008 2009 2010 2011 Workshop Service Manual, Dodge Dakota 2005 2006 2007 2008 2009 2010 2011 Service Manual, Dodge Dakota 2005 2006 2007 2008 2009 2010 2011 Repair Manual, Dodge Dakota 2005 2006 2007 2008 2009 2010 2011 Full Manual, Dodge Dakota 2005 2006 2007 2008 2009 2010 2011 Digital Manual, Dodge Dakota 2005 2006 2007 2008 2009 2010 2011 Workshop Manual, Dodge Dakota 2005 2006 2007 2008 2009 2010 2011 Factory Manual, Dodge Dakota 2005 2006 2007 2008 2009 2010 2011 Manual Pdf DOwnload, Dodge Dakota 2005 2006 2007 2008 2009 2010 2011 Factory Repair Manual, Dodge Dakota 2005 2006 2007 2008 2009 2010 2011 Workshop Repair Manual. 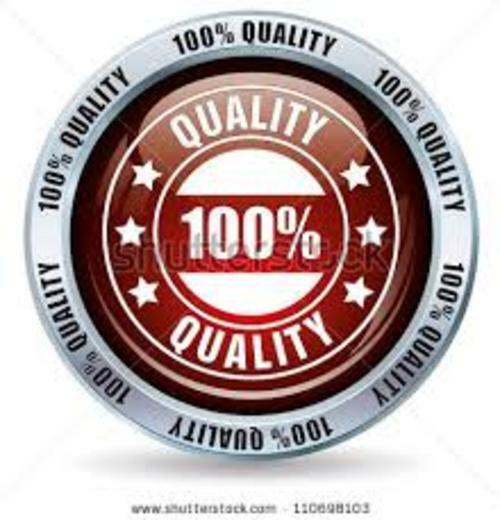 Dodge Dakota 2005 2006 2007 2008 2009 2010 2011 Workshop Service Repair Manual, Dodge Dakota 2005 2006 2007 2008 2009 2010 2011 Full Original Service Repair Manual, Dodge Dakota 2005 2006 2007 2008 2009 2010 2011 Factory Service Manual, Dodge Dakota 2005 2006 2007 2008 2009 2010 2011 Workshop Service Manual, Dodge Dakota 2005 2006 2007 2008 2009 2010 2011 Service Manual, Dodge Dakota 2005 2006 2007 2008 2009 2010 2011 Repair Manual, Dodge Dakota 2005 2006 2007 2008 2009 2010 2011 Full Manual, Dodge Dakota 2005 2006 2007 2008 2009 2010 2011 Digital Manual, Dodge Dakota 2005 2006 2007 2008 2009 2010 2011 Workshop Manual, Dodge Dakota 2005 2006 2007 2008 2009 2010 2011 Factory Manual, Dodge Dakota 2005 2006 2007 2008 2009 2010 2011 Manual Pdf DOwnload, Dodge Dakota 2005 2006 2007 2008 2009 2010 2011 Factory Repair Manual, Dodge Dakota 2005 2006 2007 2008 2009 2010 2011 Workshop Repair Manual Dodge Dakota 2005 2006 2007 2008 2009 2010 2011 General Information, Dodge Dakota 2005 2006 2007 2008 2009 2010 2011 Specifications, Dodge Dakota 2005 2006 2007 2008 2009 2010 2011 Engine Removal, Dodge Dakota 2005 2006 2007 2008 2009 2010 2011 Wiring Diagrams, Dodge Dakota 2005 2006 2007 2008 2009 2010 2011 Lube Points, Dodge Dakota 2005 2006 2007 2008 2009 2010 2011 Oil Types, Dodge Dakota 2005 2006 2007 2008 2009 2010 2011 Periodic Maintenance and Tune-Up Procedures, Dodge Dakota 2005 2006 2007 2008 2009 2010 2011 Engine Servicing, Dodge Dakota 2005 2006 2007 2008 2009 2010 2011 Disassembly, Dodge Dakota 2005 2006 2007 2008 2009 2010 2011 Reassembly, Dodge Dakota 2005 2006 2007 2008 2009 2010 2011 Fuel and Lubrication Systems, Dodge Dakota 2005 2006 2007 2008 2009 2010 2011 Carb Rebuild, Dodge Dakota 2005 2006 2007 2008 2009 2010 2011 Carb Adjustments, Dodge Dakota 2005 2006 2007 2008 2009 2010 2011 Electrical System, Dodge Dakota 2005 2006 2007 2008 2009 2010 2011 Ignition, Dodge Dakota 2005 2006 2007 2008 2009 2010 2011 Chassis, Dodge Dakota 2005 2006 2007 2008 2009 2010 2011 Charging, Dodge Dakota 2005 2006 2007 2008 2009 2010 2011 Starter, Dodge Dakota 2005 2006 2007 2008 2009 2010 2011 Battery, Dodge Dakota 2005 2006 2007 2008 2009 2010 2011 Switches, Dodge Dakota 2005 2006 2007 2008 2009 2010 2011 Wheels, Dodge Dakota 2005 2006 2007 2008 2009 2010 2011 Brakes, Dodge Dakota 2005 2006 2007 2008 2009 2010 2011 Steering, Dodge Dakota 2005 2006 2007 2008 2009 2010 2011 Suspension, Dodge Dakota 2005 2006 2007 2008 2009 2010 2011 Axles, Dodge Dakota 2005 2006 2007 2008 2009 2010 2011 Chassis Assembly, Dodge Dakota 2005 2006 2007 2008 2009 2010 2011 Servicing Information, Dodge Dakota 2005 2006 2007 2008 2009 2010 2011 Wiring Diagrams, Dodge Dakota 2005 2006 2007 2008 2009 2010 2011 Service Data, Dodge Dakota 2005 2006 2007 2008 2009 2010 2011 Wire/Cable/Hose Routing, Dodge Dakota 2005 2006 2007 2008 2009 2010 2011 Tools, Dodge Dakota 2005 2006 2007 2008 2009 2010 2011 Tightening Torques, Dodge Dakota 2005 2006 2007 2008 2009 2010 2011 Complete Engine Service, Dodge Dakota 2005 2006 2007 2008 2009 2010 2011 Fuel System Service, Dodge Dakota 2005 2006 2007 2008 2009 2010 2011 All Factory Repair Procedures, Dodge Dakota 2005 2006 2007 2008 2009 2010 2011 Gearbox, Dodge Dakota 2005 2006 2007 2008 2009 2010 2011 Exhaust System, Dodge Dakota 2005 2006 2007 2008 2009 2010 2011 Suspension, Dodge Dakota 2005 2006 2007 2008 2009 2010 2011 Fault Finding, Dodge Dakota 2005 2006 2007 2008 2009 2010 2011 Clutch Removal and Installation, Dodge Dakota 2005 2006 2007 2008 2009 2010 2011 Transmission, Dodge Dakota 2005 2006 2007 2008 2009 2010 2011 Front Suspension, Dodge Dakota 2005 2006 2007 2008 2009 2010 2011 Bodywork, Dodge Dakota 2005 2006 2007 2008 2009 2010 2011 Gearbox Service, Dodge Dakota 2005 2006 2007 2008 2009 2010 2011 Gearbox Removal and Installation, Dodge Dakota 2005 2006 2007 2008 2009 2010 2011 Cooling System, Dodge Dakota 2005 2006 2007 2008 2009 2010 2011 Detailed Specifications, Dodge Dakota 2005 2006 2007 2008 2009 2010 2011 Factory Maintenance Schedules, Dodge Dakota 2005 2006 2007 2008 2009 2010 2011 Electrics, Dodge Dakota 2005 2006 2007 2008 2009 2010 2011 Engine Firing Order, Dodge Dakota 2005 2006 2007 2008 2009 2010 2011 Brake Servicing Procedures, Dodge Dakota 2005 2006 2007 2008 2009 2010 2011 U-Joint Service Procedures, Dodge Dakota 2005 2006 2007 2008 2009 2010 2011 CV Joint Service Procedures, Dodge Dakota 2005 2006 2007 2008 2009 2010 2011 Timing Chain Service, Dodge Dakota 2005 2006 2007 2008 2009 2010 2011 Exhaust Service Dodge Dakota 2005 2006 2007 2008 2009 2010 2011 General Information Dodge Dakota 2005 2006 2007 2008 2009 2010 2011 Engine Mechanical System Dodge Dakota 2005 2006 2007 2008 2009 2010 2011 Engine Electrical System Dodge Dakota 2005 2006 2007 2008 2009 2010 2011 Emission Control System Dodge Dakota 2005 2006 2007 2008 2009 2010 2011 Fuel System Dodge Dakota 2005 2006 2007 2008 2009 2010 2011 Clutch System Dodge Dakota 2005 2006 2007 2008 2009 2010 2011 Manual Transaxle System Dodge Dakota 2005 2006 2007 2008 2009 2010 2011 Automatic Transaxle System Dodge Dakota 2005 2006 2007 2008 2009 2010 2011 Driveshaft and axle Dodge Dakota 2005 2006 2007 2008 2009 2010 2011 Suspension System Dodge Dakota 2005 2006 2007 2008 2009 2010 2011 Steering System Dodge Dakota 2005 2006 2007 2008 2009 2010 2011 Restraint Dodge Dakota 2005 2006 2007 2008 2009 2010 2011 Brake System Dodge Dakota 2005 2006 2007 2008 2009 2010 2011 Body (Interior and Exterior) Dodge Dakota 2005 2006 2007 2008 2009 2010 2011 Body Electrical System Dodge Dakota 2005 2006 2007 2008 2009 2010 2011 Heating,Ventilation, Air Conditioning Dodge Dakota 2005 2006 2007 2008 2009 2010 2011 Lubrication & Maintenance Dodge Dakota 2005 2006 2007 2008 2009 2010 2011 Suspension Dodge Dakota 2005 2006 2007 2008 2009 2010 2011 Differential & Driveline Dodge Dakota 2005 2006 2007 2008 2009 2010 2011 Vehicle Quick Reference Dodge Dakota 2005 2006 2007 2008 2009 2010 2011 Brakes Dodge Dakota 2005 2006 2007 2008 2009 2010 2011 Cooling Dodge Dakota 2005 2006 2007 2008 2009 2010 2011 Audio/Video Dodge Dakota 2005 2006 2007 2008 2009 2010 2011 Chime/Buzzer Dodge Dakota 2005 2006 2007 2008 2009 2010 2011 Electronic Control Modules Dodge Dakota 2005 2006 2007 2008 2009 2010 2011 Engine Systems Dodge Dakota 2005 2006 2007 2008 2009 2010 2011 Heated Systems Dodge Dakota 2005 2006 2007 2008 2009 2010 2011 Horn Dodge Dakota 2005 2006 2007 2008 2009 2010 2011 Ignition Control Dodge Dakota 2005 2006 2007 2008 2009 2010 2011 Instrument Cluster Dodge Dakota 2005 2006 2007 2008 2009 2010 2011 Lamps Dodge Dakota 2005 2006 2007 2008 2009 2010 2011 Message Systems Dodge Dakota 2005 2006 2007 2008 2009 2010 2011 Power Systems Dodge Dakota 2005 2006 2007 2008 2009 2010 2011 Restraints Dodge Dakota 2005 2006 2007 2008 2009 2010 2011 Speed Control Dodge Dakota 2005 2006 2007 2008 2009 2010 2011 Vehicle Theft Security Dodge Dakota 2005 2006 2007 2008 2009 2010 2011 Wipers/Washers Dodge Dakota 2005 2006 2007 2008 2009 2010 2011 Navigation/Telecommunication Dodge Dakota 2005 2006 2007 2008 2009 2010 2011 Wiring Dodge Dakota 2005 2006 2007 2008 2009 2010 2011 Engine Dodge Dakota 2005 2006 2007 2008 2009 2010 2011 Exhaust System Dodge Dakota 2005 2006 2007 2008 2009 2010 2011 Frame & Bumpers Dodge Dakota 2005 2006 2007 2008 2009 2010 2011 Fuel System Dodge Dakota 2005 2006 2007 2008 2009 2010 2011 Steering Dodge Dakota 2005 2006 2007 2008 2009 2010 2011 Automatic Transmission Dodge Dakota 2005 2006 2007 2008 2009 2010 2011 Tires/Wheels Dodge Dakota 2005 2006 2007 2008 2009 2010 2011 Heating & Air Conditioning Dodge Dakota 2005 2006 2007 2008 2009 2010 2011 Emissions Control Dodge Dakota 2005 2006 2007 2008 2009 2010 2011 Component and System Index Dodge Dakota 2005 2006 2007 2008 2009 2010 2011 DTC Index Dodge Dakota 2005 2006 2007 2008 2009 2010 2011 General Information Dodge Dakota 2005 2006 2007 2008 2009 2010 2011 Engine Mechanical Dodge Dakota 2005 2006 2007 2008 2009 2010 2011 Fii inventiv Dodge Dakota 2005 2006 2007 2008 2009 2010 2011 Engine Lubrication System Dodge Dakota 2005 2006 2007 2008 2009 2010 2011 Engine Cooling System Dodge Dakota 2005 2006 2007 2008 2009 2010 2011 Engine Control System Dodge Dakota 2005 2006 2007 2008 2009 2010 2011 Fuel System Dodge Dakota 2005 2006 2007 2008 2009 2010 2011 Exhaust System Dodge Dakota 2005 2006 2007 2008 2009 2010 2011 Starting System Dodge Dakota 2005 2006 2007 2008 2009 2010 2011 Accelerator Control System Dodge Dakota 2005 2006 2007 2008 2009 2010 2011 Vehicle Quick Reference Dodge Dakota 2005 2006 2007 2008 2009 2010 2011 Brakes Dodge Dakota 2005 2006 2007 2008 2009 2010 2011 Cooling Dodge Dakota 2005 2006 2007 2008 2009 2010 2011 Audio/Video Dodge Dakota 2005 2006 2007 2008 2009 2010 2011 Chime/Buzzer Dodge Dakota 2005 2006 2007 2008 2009 2010 2011 Electronic Control Modules Dodge Dakota 2005 2006 2007 2008 2009 2010 2011 Engine Systems Dodge Dakota 2005 2006 2007 2008 2009 2010 2011 Heated Systems Dodge Dakota 2005 2006 2007 2008 2009 2010 2011 Horn Dodge Dakota 2005 2006 2007 2008 2009 2010 2011 Ignition Control Dodge Dakota 2005 2006 2007 2008 2009 2010 2011 Instrument Cluster Dodge Dakota 2005 2006 2007 2008 2009 2010 2011 Lamps Dodge Dakota 2005 2006 2007 2008 2009 2010 2011 Message Systems Dodge Dakota 2005 2006 2007 2008 2009 2010 2011 Power Systems Dodge Dakota 2005 2006 2007 2008 2009 2010 2011 Clutch Dodge Dakota 2005 2006 2007 2008 2009 2010 2011 Transaxle and Transmission Dodge Dakota 2005 2006 2007 2008 2009 2010 2011 Driveline Dodge Dakota 2005 2006 2007 2008 2009 2010 2011 Front Axle Dodge Dakota 2005 2006 2007 2008 2009 2010 2011 Rear Axle Dodge Dakota 2005 2006 2007 2008 2009 2010 2011 Front Suspension Dodge Dakota 2005 2006 2007 2008 2009 2010 2011 Rear Suspension Dodge Dakota 2005 2006 2007 2008 2009 2010 2011 Road Wheels and Tires Dodge Dakota 2005 2006 2007 2008 2009 2010 2011 Brake System Dodge Dakota 2005 2006 2007 2008 2009 2010 2011 Parking Brake System Dodge Dakota 2005 2006 2007 2008 2009 2010 2011 Brake Control System Dodge Dakota 2005 2006 2007 2008 2009 2010 2011 Steering System Dodge Dakota 2005 2006 2007 2008 2009 2010 2011 Steering Control System Dodge Dakota 2005 2006 2007 2008 2009 2010 2011 Seat Belt Dodge Dakota 2005 2006 2007 2008 2009 2010 2011 Seat Belt Control System Dodge Dakota 2005 2006 2007 2008 2009 2010 2011 SRS Airbag Dodge Dakota 2005 2006 2007 2008 2009 2010 2011 SRS Airbag Control System Dodge Dakota 2005 2006 2007 2008 2009 2010 2011 Ventilation System Dodge Dakota 2005 2006 2007 2008 2009 2010 2011 Heater and Air Conditioning System Dodge Dakota 2005 2006 2007 2008 2009 2010 2011 Heater and Air Conditioning Control System Dodge Dakota 2005 2006 2007 2008 2009 2010 2011 Interior Dodge Dakota 2005 2006 2007 2008 2009 2010 2011 Instrument Panel Dodge Dakota 2005 2006 2007 2008 2009 2010 2011 Seat Dodge Dakota 2005 2006 2007 2008 2009 2010 2011 Automatic Drive Positioner Dodge Dakota 2005 2006 2007 2008 2009 2010 2011 Door and Lock Dodge Dakota 2005 2006 2007 2008 2009 2010 2011 Security Control System Dodge Dakota 2005 2006 2007 2008 2009 2010 2011 Glass and Window System Dodge Dakota 2005 2006 2007 2008 2009 2010 2011 Power Window Control System Dodge Dakota 2005 2006 2007 2008 2009 2010 2011 Roof Dodge Dakota 2005 2006 2007 2008 2009 2010 2011 Exterior Dodge Dakota 2005 2006 2007 2008 2009 2010 2011 Body Repair Dodge Dakota 2005 2006 2007 2008 2009 2010 2011 Mirrors Dodge Dakota 2005 2006 2007 2008 2009 2010 2011 Exterior Lighting System Dodge Dakota 2005 2006 2007 2008 2009 2010 2011 Interior Lighting System Dodge Dakota 2005 2006 2007 2008 2009 2010 2011 Wiper and Washer Dodge Dakota 2005 2006 2007 2008 2009 2010 2011 Defogger Dodge Dakota 2005 2006 2007 2008 2009 2010 2011 Horn Dodge Dakota 2005 2006 2007 2008 2009 2010 2011 Power Outlet Dodge Dakota 2005 2006 2007 2008 2009 2010 2011 Body Control System Dodge Dakota 2005 2006 2007 2008 2009 2010 2011 Te-am prins Dodge Dakota 2005 2006 2007 2008 2009 2010 2011 LAN System Dodge Dakota 2005 2006 2007 2008 2009 2010 2011 Power Control System Dodge Dakota 2005 2006 2007 2008 2009 2010 2011 Charging System Dodge Dakota 2005 2006 2007 2008 2009 2010 2011 Power Supply, Ground and Circuit Elements Dodge Dakota 2005 2006 2007 2008 2009 2010 2011 Meter, Warning Lamp and Indicator Dodge Dakota 2005 2006 2007 2008 2009 2010 2011 Warning Chime System Dodge Dakota 2005 2006 2007 2008 2009 2010 2011 Sonar System Dodge Dakota 2005 2006 2007 2008 2009 2010 2011 Audio Dodge Dakota 2005 2006 2007 2008 2009 2010 2011 Visual and Navigation System Dodge Dakota 2005 2006 2007 2008 2009 2010 2011 Cruise Control System Dodge Dakota 2005 2006 2007 2008 2009 2010 2011 Servicing Dodge Dakota 2005 2006 2007 2008 2009 2010 2011 Clutch Dodge Dakota 2005 2006 2007 2008 2009 2010 2011 Transmission Dodge Dakota 2005 2006 2007 2008 2009 2010 2011 Cooling systems Dodge Dakota 2005 2006 2007 2008 2009 2010 2011 Fuel & Exhaust Dodge Dakota 2005 2006 2007 2008 2009 2010 2011 Ignition & electrical Dodge Dakota 2005 2006 2007 2008 2009 2010 2011 Wheels & tyres Dodge Dakota 2005 2006 2007 2008 2009 2010 2011 Steering Dodge Dakota 2005 2006 2007 2008 2009 2010 2011 Suspension Dodge Dakota 2005 2006 2007 2008 2009 2010 2011 Wiring diagrams Dodge Dakota 2005 2006 2007 2008 2009 2010 2011 Troubleshooting Dodge Dakota 2005 2006 2007 2008 2009 2010 2011 Care and Safety Dodge Dakota 2005 2006 2007 2008 2009 2010 2011 Routine Maintenance Dodge Dakota 2005 2006 2007 2008 2009 2010 2011 Attachments Dodge Dakota 2005 2006 2007 2008 2009 2010 2011 Body and Framework Dodge Dakota 2005 2006 2007 2008 2009 2010 2011 Electrics Dodge Dakota 2005 2006 2007 2008 2009 2010 2011 Controls Dodge Dakota 2005 2006 2007 2008 2009 2010 2011 Hydraulics Dodge Dakota 2005 2006 2007 2008 2009 2010 2011 Gearboxes Dodge Dakota 2005 2006 2007 2008 2009 2010 2011 Track Dodge Dakota 2005 2006 2007 2008 2009 2010 2011 Running Gear Dodge Dakota 2005 2006 2007 2008 2009 2010 2011 Front Axle Dodge Dakota 2005 2006 2007 2008 2009 2010 2011 Rear Axle Dodge Dakota 2005 2006 2007 2008 2009 2010 2011 Front Suspension Dodge Dakota 2005 2006 2007 2008 2009 2010 2011 Rear Suspension Dodge Dakota 2005 2006 2007 2008 2009 2010 2011 Road Wheels and Tires Dodge Dakota 2005 2006 2007 2008 2009 2010 2011 Brake System Dodge Dakota 2005 2006 2007 2008 2009 2010 2011 Parking Brake System Dodge Dakota 2005 2006 2007 2008 2009 2010 2011 Brake Control System Dodge Dakota 2005 2006 2007 2008 2009 2010 2011 Steering System Dodge Dakota 2005 2006 2007 2008 2009 2010 2011 Steering Control System Dodge Dakota 2005 2006 2007 2008 2009 2010 2011 Seat Belt Dodge Dakota 2005 2006 2007 2008 2009 2010 2011 Seat Belt Control System Dodge Dakota 2005 2006 2007 2008 2009 2010 2011 SRS Airbag Dodge Dakota 2005 2006 2007 2008 2009 2010 2011 SRS Airbag Control System Dodge Dakota 2005 2006 2007 2008 2009 2010 2011 Ventilation System Dodge Dakota 2005 2006 2007 2008 2009 2010 2011 Heater and Air Conditioning System Dodge Dakota 2005 2006 2007 2008 2009 2010 2011 Heater and Air Conditioning Control System Dodge Dakota 2005 2006 2007 2008 2009 2010 2011 Interior Dodge Dakota 2005 2006 2007 2008 2009 2010 2011 Instrument Panel Dodge Dakota 2005 2006 2007 2008 2009 2010 2011 Seat Dodge Dakota 2005 2006 2007 2008 2009 2010 2011 Automatic Drive Positioner Dodge Dakota 2005 2006 2007 2008 2009 2010 2011 Door and Lock Dodge Dakota 2005 2006 2007 2008 2009 2010 2011 Security Control System Dodge Dakota 2005 2006 2007 2008 2009 2010 2011 Glass and Window System Dodge Dakota 2005 2006 2007 2008 2009 2010 2011 Power Window Control System Dodge Dakota 2005 2006 2007 2008 2009 2010 2011 Roof Dodge Dakota 2005 2006 2007 2008 2009 2010 2011 Exterior Dodge Dakota 2005 2006 2007 2008 2009 2010 2011 Body Repair Dodge Dakota 2005 2006 2007 2008 2009 2010 2011 Mirrors Dodge Dakota 2005 2006 2007 2008 2009 2010 2011 Exterior Lighting System Dodge Dakota 2005 2006 2007 2008 2009 2010 2011 Interior Lighting System Dodge Dakota 2005 2006 2007 2008 2009 2010 2011 Wiper and Washer Dodge Dakota 2005 2006 2007 2008 2009 2010 2011 Defogger Dodge Dakota 2005 2006 2007 2008 2009 2010 2011 Horn Dodge Dakota 2005 2006 2007 2008 2009 2010 2011 Power Outlet Dodge Dakota 2005 2006 2007 2008 2009 2010 2011 Body Control System Dodge Dakota 2005 2006 2007 2008 2009 2010 2011 LAN System Dodge Dakota 2005 2006 2007 2008 2009 2010 2011 Power Control System Dodge Dakota 2005 2006 2007 2008 2009 2010 2011 Charging System Dodge Dakota 2005 2006 2007 2008 2009 2010 2011 Power Supply, Ground and Circuit Elements Dodge Dakota 2005 2006 2007 2008 2009 2010 2011 Meter, Warning Lamp and Indicator Dodge Dakota 2005 2006 2007 2008 2009 2010 2011 Warning Chime System Dodge Dakota 2005 2006 2007 2008 2009 2010 2011 Sonar System Dodge Dakota 2005 2006 2007 2008 2009 2010 2011 Audio Dodge Dakota 2005 2006 2007 2008 2009 2010 2011 Visual and Navigation System Dodge Dakota 2005 2006 2007 2008 2009 2010 2011 Cruise Control System Dodge Dakota 2005 2006 2007 2008 2009 2010 2011 Servicing Dodge Dakota 2005 2006 2007 2008 2009 2010 2011 Clutch Dodge Dakota 2005 2006 2007 2008 2009 2010 2011 Transmission Dodge Dakota 2005 2006 2007 2008 2009 2010 2011 Cooling systems Dodge Dakota 2005 2006 2007 2008 2009 2010 2011 Fuel & Exhaust Dodge Dakota 2005 2006 2007 2008 2009 2010 2011 Ignition & electrical Dodge Dakota 2005 2006 2007 2008 2009 2010 2011 Wheels & tyres Dodge Dakota 2005 2006 2007 2008 2009 2010 2011 Steering Dodge Dakota 2005 2006 2007 2008 2009 2010 2011 Suspension Dodge Dakota 2005 2006 2007 2008 2009 2010 2011 Wiring diagrams Dodge Dakota 2005 2006 2007 2008 2009 2010 2011 Troubleshooting Dodge Dakota 2005 2006 2007 2008 2009 2010 2011 Care and Safety Dodge Dakota 2005 2006 2007 2008 2009 2010 2011 Routine Maintenance Dodge Dakota 2005 2006 2007 2008 2009 2010 2011 Attachments Dodge Dakota 2005 2006 2007 2008 2009 2010 2011 Body and Framework Dodge Dakota 2005 2006 2007 2008 2009 2010 2011 Electric Dodge Dakota 2005 2006 2007 2008 2009 2010 2011 DTC Index Dodge Dakota 2005 2006 2007 2008 2009 2010 2011 General Information Dodge Dakota 2005 2006 2007 2008 2009 2010 2011 Engine Mechanical Dodge Dakota 2005 2006 2007 2008 2009 2010 2011 Engine Lubrication System Dodge Dakota 2005 2006 2007 2008 2009 2010 2011 Engine Cooling System Dodge Dakota 2005 2006 2007 2008 2009 2010 2011 Engine Control System Dodge Dakota 2005 2006 2007 2008 2009 2010 2011 Fuel System Dodge Dakota 2005 2006 2007 2008 2009 2010 2011 Exhaust System.